Namaste, Bright Ones! Shhh, I’ve got a little secret for ya, I have a deep affinity for learning and sharing teachings that are not only practical in our fast paced world, but allow us to experience our strength, passion, beauty and grace in a meaningful way. The best advice from my father was to make my passion my career. That is, whatever I would do as a hobby, find a way to make a career out of it. At fifteen years old, his advice changed my life. I’m in love with a few remarkable teachings that have changed the way I dance, move, heal from injuries, deal with physical and emotional stressors, and are strengthening my ability to tap into my greatest creativity and potential. I’m excited to share these profound yet applicable tools with you. Lastly, and this is kind of important, there’s a high probability you will fall deeply in love with your body, feel more confident and self-assured, and shine brightly in all your brilliance. Sending infinite love and light to you my loves. Sat Nam! Do you feel the pressure of being pulled in too many directions? Do you struggle with your creative potential? If you could learn tools to help you calm your nerves, reduce stress, clear cluttered thinking, and develop a more meditative state of mind, would you be willing to try? If you answered yes, Kundalini yoga may be for you. Kundalini Yoga is called the Yoga of Awareness, and Kundalini means energy, the creative energy or potential within you. It’s a Raj yoga or Royal yoga, and I’ll admit, I’m kind of in love with it and the applicable tools for everyone and everyday use. Yoga means to unite or yoke, our breath with our body, our mind with our soul, our being with our potential. These time-honored teachings can help you navigate this high-pressured world with grace, strength, and clarity. In class you’ll learn to chant ancient *Mantras ~ used as sound projections for concentration, healing tissues through vibration, and opens an express lane out of negative/ self-sabotaging thoughts. *Asanas ~ postures to clear stagnant energy in our physical/energetic bodies. Yes, you’ll learn we’re more than a physical body with a brain. *Pranayama ~ breathing techniques to enhance our ability to utilize/store Prana (life force energy) improving overall health, mental clarity, and vitality. *Mudras ~ hand positions/hand yoga to stimulate areas of our hands which relate to our brain improving physical health and moods. You’ll feel a greater sense of vitality, creativity, and quite possibly fall in love with the true essence of your being, your Sat Nam. See you on the mat, yogis! If you could ease your neck and back pain, everyday aches and pains, even injuries, chronic pain, poor sleep, and digestion, would you be willing to try? As a dancer for over twenty years, I was reluctantly beginning to adopt the old adage, “no pain, no gain” and societal views on our body losing vitality and the ability to thrive as we age. I’ve sought holistic practitioners from numerous modalities, name it and I’ve likely had those services, all in an effort to feel better and continue dancing with less pain. After resuming everyday activities, I’d return to my practitioners’ offices seeking relief and expected this pattern for the rest of my life. Then, I found The MELT Method®, a simple self-treatment technique to ease everyday aches and pains while assisting the tissues in becoming receptive and adaptive to other healing modalities. Win-Win!! We use soft foam rollers on the body and balls on the hands and feet to initiate global improvements to the joints, nervous system, and tissues. That’s not all, through other techniques, including MELT Neuro strength to stabilize the joints, MELT for Pilates to assist a more balanced body and core, you’ll discover a path that makes it possible to recover from injury, improve athletic/fitness performance, experience relief from chronic pain/illness, and improve your overall health and vitality. As an advanced MELT® practitioner and teaching assistant, I’m honored and thrilled to guide you on this journey to becoming pro-active with your self-care routine and experiencing aging can be a blissful ride. See you on the roller, MELTers’. I’m deeply in love with the power quality sound has to heal and deeply nurture us on many levels, including but not limited to our physical, mental, emotional, and spiritual layers. I’m honored to share the ancient art of sound vibration using Tibetan singing bowls, Dolphin singing bowls, Crystal Alchemy bowls, Mantras, and other sound healing tools. Sound vibration is a perfect compliment to many other holistic healing modalities, and is also used for space and home clearings/blessings. Multiple session packages available upon request. Contact me for more information. When I was in college I saved a fortune cookie that said, “You will travel far and wide for both business and pleasure.” I have found traveling to be one of my greatest classrooms, which makes this new “venture of adventures” with my friend and colleague, Amanda Cizek so exciting! 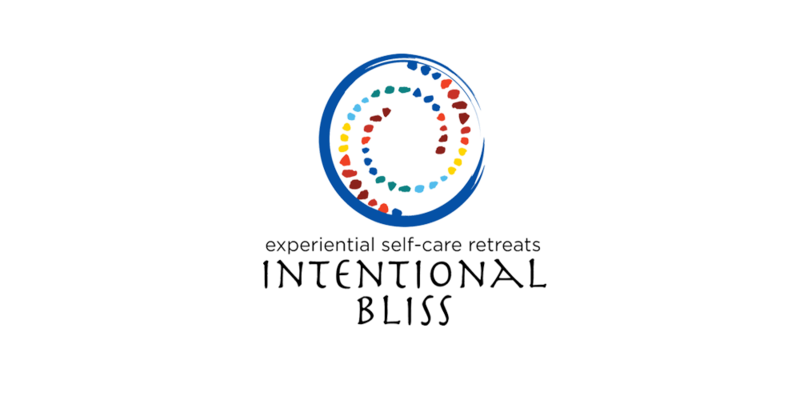 We are thrilled to announce Intentional Bliss ~ experiential self-care retreats. Go ahead, don’t be shy, head on over, bliss is literally a click away. See you around the world beautiful self-care aficionados.